Menton offers valet parking beginning at 5:00pm every evening at a price of $19.00 per vehicle (after validation). There is also parking available in several open lots and garages in the immediate area. With beautifully executed cuisine, an unparalleled wine program, warm hospitality, and a glamorous setting, Menton seeks to excite, inspire, and transport guests. Pristine ingredients and refined technique are the basis for the seasonally inspired menus for lunch and dinner. A six-seat bar, with additional seating for ten at tables along a banquette, features expertly crafted cocktails and an approachable menu of comforting classics. Executive Wine Director Cat Silirie’s carefully curated wine list highlights small grower champagnes and rare vintages from lesser-known vineyards. In addition to the dining room and bar, Menton boasts two private event spaces perfect for gathering with colleagues, friends, or family. Holiday Hours! On Mother's Day, we will be open 11 - 2:30 PM for brunch, and from 4:30 - 8 PM for dinner. We look forward to dining with you! We are opening again for weekend lunch on Sunday, May 12th to celebrate those amazing people we all know and love – our moms! Show her how much you care by treating her to a special five-course menu, offered in addition to the a la carte menu. Excellent meal and excellent service. Not a cheap meal, but I was not expecting that. Will definitely return the next time I am in Boston and will refer this restaurant to friends. 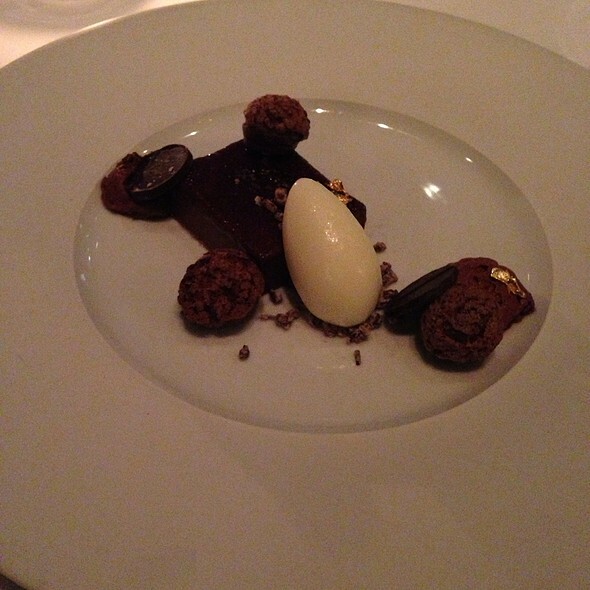 Menton was one of the best restaurants we have eaten at in Boston. Barbara Lynch is a master at creating incredible dishes where every bite is savored. The wait staff and service were outstanding, experienced and friendly. 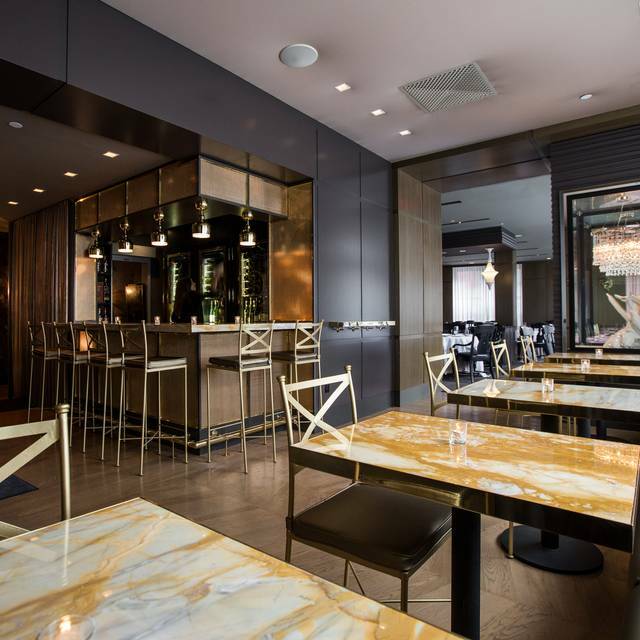 Menton is not your regular restaurant. It is a special experience filled with delightful extras and outstanding food that you will remember long after your night there. Just a fabulous experience all around. We went to Menton to celebrate running the Boston marathon, and it was certainly the perfect restaurant and meal to do it with. The restaurant called to find out food allergies and aversions, which I fully appreciate it. The servers were incredibly kind, attentive, and friendly. The food was incredible...we might need to make another trip to Boston just so we can go to Menton again. 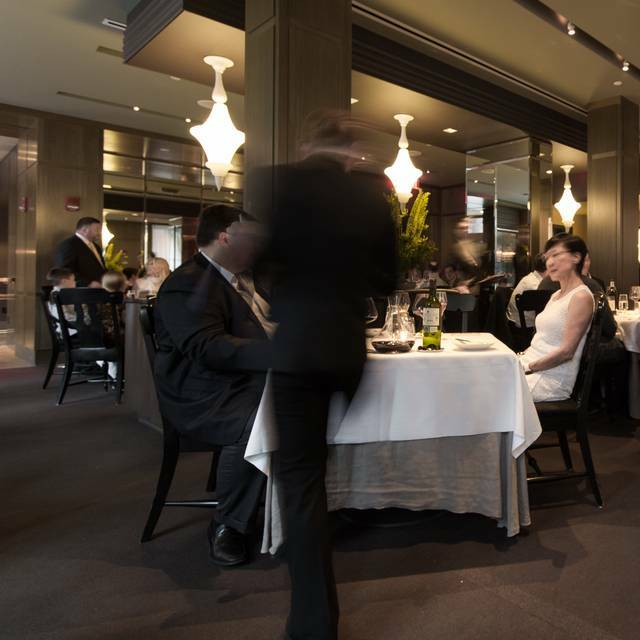 Menton is our go-to special event restaurant, that we visit on average twice a year. We have never been disappointed, and take every opportunity to spread the word about this marvelous place. This was our 50th wedding anniversary. They treated us like friends in their home with a glass of champagne upon arrival, a special dessert with "Happy 50th Anniversary" written in chocolate on it, and a copy of the tasting menu with "Happy 50th Anniversary" printed on it. We will have that framed. 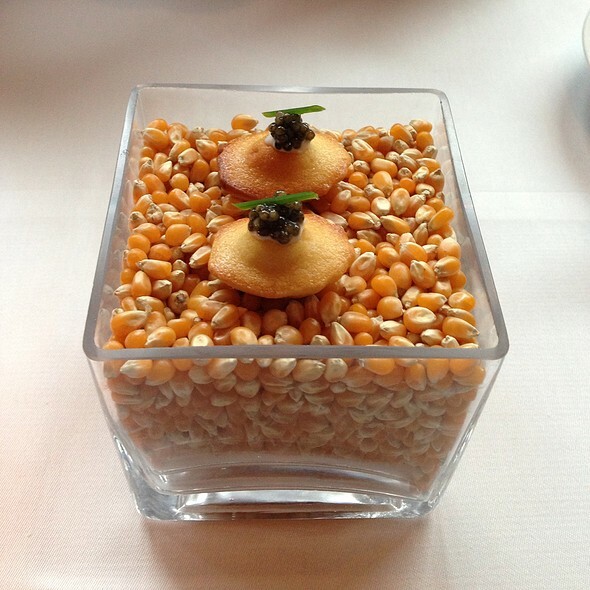 This was perhaps the best meal I have had since my last visit to Chez Bocuse in Lyon. We will definitely be back for our next 50th anniversary celebration! Leider ein vollkommen unbefriedigendes kulinarisches Erlebnis. Keine Sterneküche, sondern recht liebloses, geschmacksneutrales Essen, das viel mehr sein möchte als es ist. Erinnert mehr an Fertiggerichte als an Fine Cousine. Weinbegleitung ok, aber nicht spektakulär, freundlicher Service, maßlos überteuert. Sicher kein 2.Besuch! Did the tasting menu with an out of town friend. Cocktails were slightly pricey but excellent, especially the petit dejuener. Service flawless. The redone dining room is elegant but casual. Food was mixed. Some excellent courses, amazing bread service, but also some hiccups such as too-al-dente pasta, underseasoned meat. Dessert was surprisingly meh - surprising since I've had great desserts at Menton in past visits and the pastry chef's work looks amazing on Instagram...but what we got didn't quite live up to expectations. Overall great dinner, but not sure it quite lived up to its price point. Food was fine however overall experience was not enjoyable. The chef menu was served a such a speed that it was challenging to enjoy each meal as the next one was coming just after. An 8 courses meal was served in 2.5h making challenging to truly enjoy the experience. We tried the chef's whim, which was delicious and so much food! We went there for a "date night" and treated us like special patrons. Very nice service; final bill was pricey! The food and service went above and beyond the standard dining experience. Highly recommend the chef’s whim. Will def be back! Really lovely fine dining experience - attentive service, outstanding cooking, and none of the loud babble so commonly spoiling the atmosphere in other restaurants. 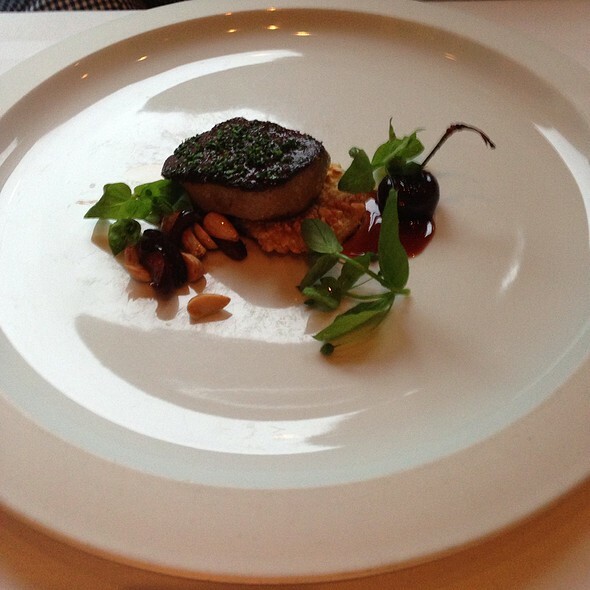 Standout dishes were the foiegras, the oyster veloute, the pasta dish with pork cheeks, and the rib eye. And all the desserts were fabulous. A great treat! Much preferred early iterations of this restaurant. Particularly the earliest, very French version. Food was good, but not spectacular. I found the marble interior much less inviting than the earlier wood paneled design. Just my opinion, for what it's worth. Food was delicious. Great atmosphere. Pricey but worth it for a special occasion. Great for dine out Boston! One of my favorite special occasion spots in Boston! Although our dinner was limited to restaurant week, the selections were delicious, beautifully plated and amazing service! Wonderful service. They called ahead about dietary restrictions and required no refresher. Good was flavorful and enjoyable. Dessert and first course was spectacular for vegetarians. I would definitely go back outside of Dine Out. It was restaurant week, so food choices were very limited; hence 4 stars as neither entree were that exciting for me. Servers and other staff members were great. The table was very nice - plenty of room for 2. Quiet music and comfortable room temperature. The food was good, but not remarkable. We enjoyed our meal, but I wouldn't say it was worth the price. I don't mind spending this much on a special night out, but it has to be worth it. In this case, it was not. I have eaten significantly better meals in Boston, and usually for much less. The service was great, though, and overall, we had a nice evening. It's worth giving it a shot, but I wouldn't go out of my way to recommend this place. We ate here for the first time during restaurant week, so I can only comment on that. The cocktail menu was not clear and incomplete on descriptions, although we know they have a fantastic bar program (have been to sister-restaurant/bar Drink). The meal over all was ok, but not a value even at Restaurant Week prices/plan. The decor was not as swanky as other high end restaurants and had a slick/glassy/shiny look rather than exuding the elegance that the tasting menu would warrant. 1/2 our dishes were under-seasoned or bland. The amuse bouche was a small bite of smoked salmon, cream, slice of cucumber, tweezered on dill. Nice looking, as expected tasting but not creative. The fish filet was overcooked, lentils were bland. The hamachi crudo dish was very nice with an excellent balance of flavor, seasoning, and citrus. 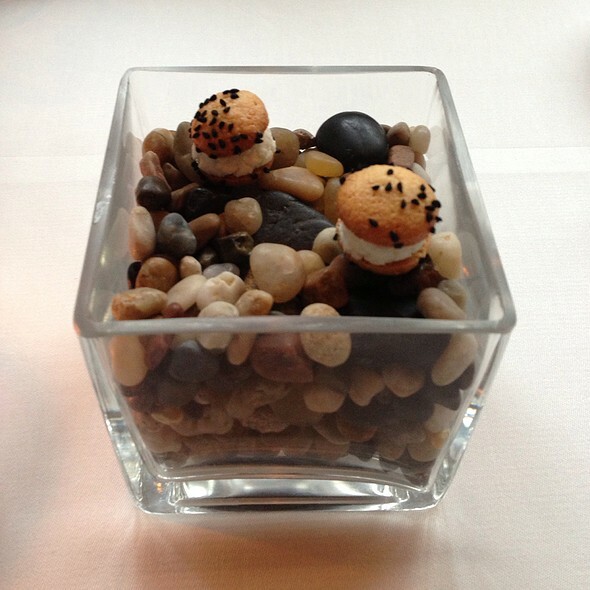 Something similar is shown on the tasting menu. The portions meal were large, but I would have rather had higher quality and consistency than volume. Dessert was very good and what we expect from fine dining. The crudo and dessert were top notch, as was the drinks. Service was fine but didnt make us feel Gucci or too welcoming. We will not be back for the tasting menu. My partner and I had a lovely meal at Menton. We were in during Restaurant Week, and enjoyed the fixed price offerings immensely. We were also pleasantly surprised at the optional additions to the menu - they were delicious. The cocktails were amazing, which is unsurprising for a Barbara Lynch restaurant, but still worth noting. Staff was extremely responsive and professional. We look forward to coming back. Excellent, attentive service, and wonderful food. Exceptional service and exceptional execution in the kitchen. Venison was fantastic and perfectly cooked medium rare. Branzino was as fresh tasting as if it just had been pulled out of the ocean - the question remains is branzino a simple sea bass or something entirely different. Based on the size of the portion it seemed like some very exotic European fish. Steak tartare and foie gras we’re perfect as was the milk chocolate mille feuille in very interesting interpretation. Great wine list. Overall this a perfect place for special occasion (we heard Happy Anniversary from everyone there). Somehow this place is very casual in its understated almost Scandinavian decor with impeccable service and food worthy a couple Michelin stars (I dine at those in NYC and Menton is definitely in the same league). Overall a bit pricey but not overpriced: perfect 5 stars. Was the waiting worth it? Being a fan of all Barbara Lynch’s creations we have alaways wanted to try Menton. With gift certificate in hand off we went. Glad we experienced it. However, after the check with tip was applied, we left the unused remainder of the gift certificate on the table. 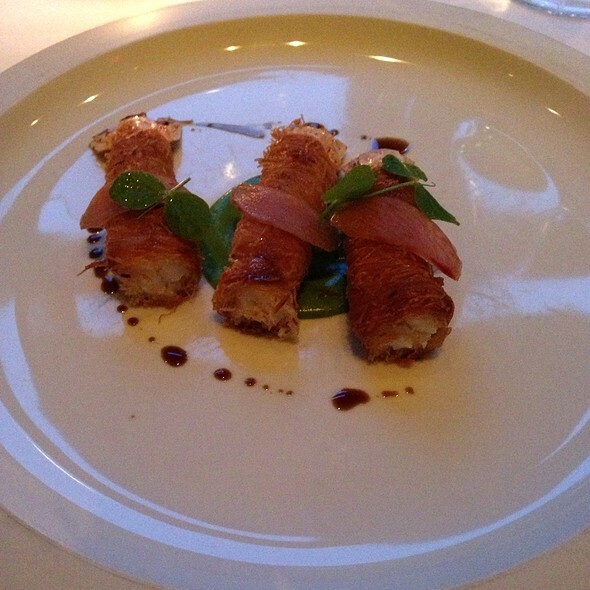 I been to Menton before, I didn’t like the food that much this time. What a magical night! 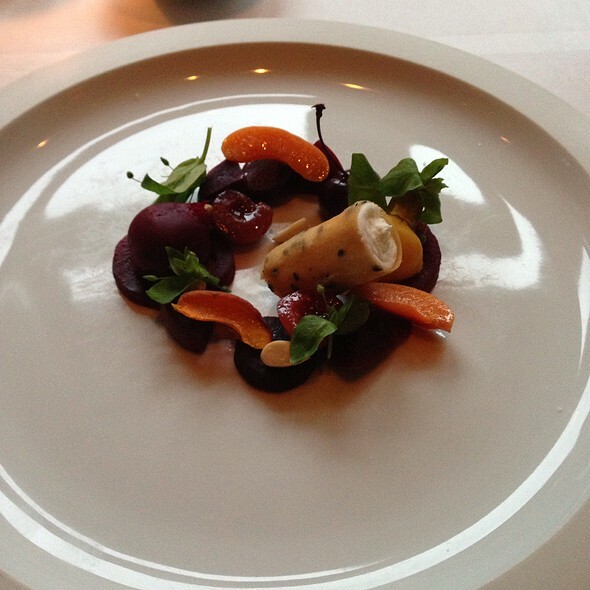 Impeccable service , glamorous setting and delicious meal always excite and inspire us to come back! Thank you menton ! The Barbara Lynch group never fails to astonish. If you ever have the opportunity to eat in these restaurants you’d be crazy to pass on the chance. Menton is no exception. Amazing staff with incredible knowledge and food so good my eyes were rolling back in my head. Our server Alyssa did a fantastic job and taught us so much about each pour of wine. Perbacco! We enjoyed a wonderful meal at Menton during Restaurant Week, with exceptional service, beautifully prepared and plated meals served in a flower filled urban chic environment. Fine dining as it should be. We'll be back for special occasions worthy of Mention! Fabulous service. Danny was so kind as to reseat us because I was having trouble tolerating the perfume of a neighboring guest, and was extremely gracious about it. The service was attentive without being intrusive. The waitstaff , particularly Alyssa, were knowledgeable and well-spoken. The food was good but not the level of outstanding I had expected. The portions were more than adequate for a tasting menu. We chose the 5 course "Dine Out Boston" meal. The hamachi crudo was very good. The mushroom galette was delicious, though the puff pastry shell was difficult to cut. The branzino was unexpectedly smoky, with a lovely crisp skin and a crisp potato cake. The braised lamb was very heavy, and the accompanying pasta was perfectly al dente. Dessert was a lovely chocolate tart, not overly heavy, with a wonderful sorbet. I was too full to try the cookies. The coffee was actually terrible - weak and tasted old (and no, we did not say anything to the staff at the time). The noise level was lively. The lights inexplicably waxed and waned towards the end of our visit, made me think of the movie "Gaslight" except that my spouse and I were in agreement about noticing it. Seating was comfortable, and the lighting was adequate, though a neighboring table had their cellphone lights on to read the menu. Waitress’s attitude is very rude and unprofessional. They didn’t do the basic introduction about their menu. When we asked about the menu content, they show pretty impatient attitude and contempt on us. It’s unforgettable dining experience and we will never go to this restaurant forever. My compliments to the pastry chef! Even my non-dessert loving husband was glad he indulged. Service was warm and welcoming, from the front door to the wait staff to the help staff. In a chic, minimalist atmosphere, lush floral arrangements at the desk and mid room were exquisite. Nice selection of wine, delicious cocktails with just that extra mystery ingredient that brings it to another level. We had not been to Menton before because we thought it was always a tasting menu for the entire table. A La Carte is available and wonderful! We will absolutely return. UNBELIEVABLE. We went for Dine Out Boston. Everything was perfect. We got complementary bites before we even ordered AND complementary dessert cookies. Everything, start to finish, was amazing! What a great birthday experience! Every detail....an exercise in excellence. Please send the sommelier/head waiter our particular thanks for making us Moms from Newton feel we've really gone somewhere special.